In my spare time I signed up for an extra “short course” at the university on Urban Photography. The class held promises of exploring the city while learning to take photos. Thus far, we haven’t explored the city. Rather, we’ve taken photos and examined them in class. The teacher has promised that we’ll meet up one of the coming Saturdays to go out and take photos. In the meantime, he’s been teaching us how to capture sneaky photos of people on public transportation, such as this one. 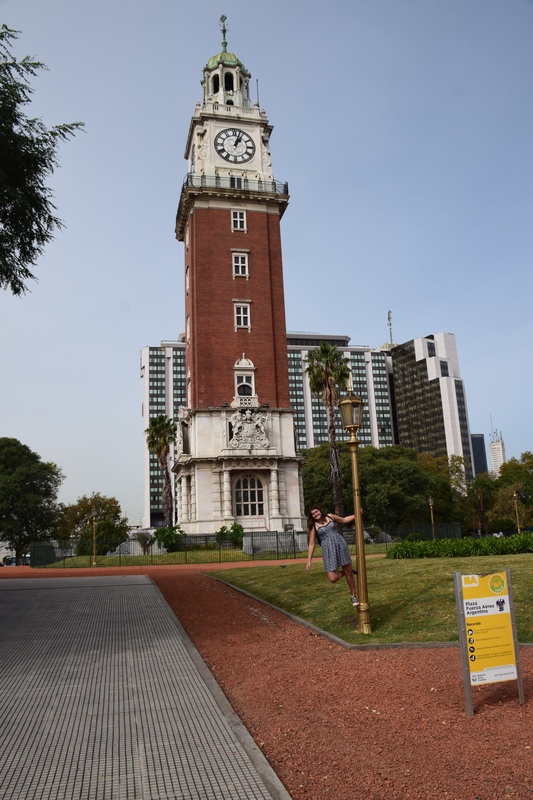 In downtown Buenos Aires, near the Retiro train station, there’s a giant clock tower. I saw it when we flew in from Igazú and marked it as something I had yet to visit within the city. Luckily, our visa appointments were right near the Retiro train station so my friend and I headed there early and examined the clock tower. It was a present from the British for Argentina’s 200th birthday. In the past, folks could take an elevator up to the sixth floor and enjoy the view of the city, that was closed awhile ago and now the clock tower serves as an information desk for the museums in the area. The International Book Fair is one of the largest fairs of the in Buenos Aires and it’s held in a convention center ten blocks from my apartment. The book fair is absolutely huge. We spent two hours there and barely scratched the surface. In addition to each province having its own booth with books written by authors from those provinces, each embassy has its own booth with books from their countries. Then, of course, there are all the major publishers and book stores, and kids areas and interactive exhibits about the currency in Argentina. The list is quite endless, but for a book lover, it was awesome. 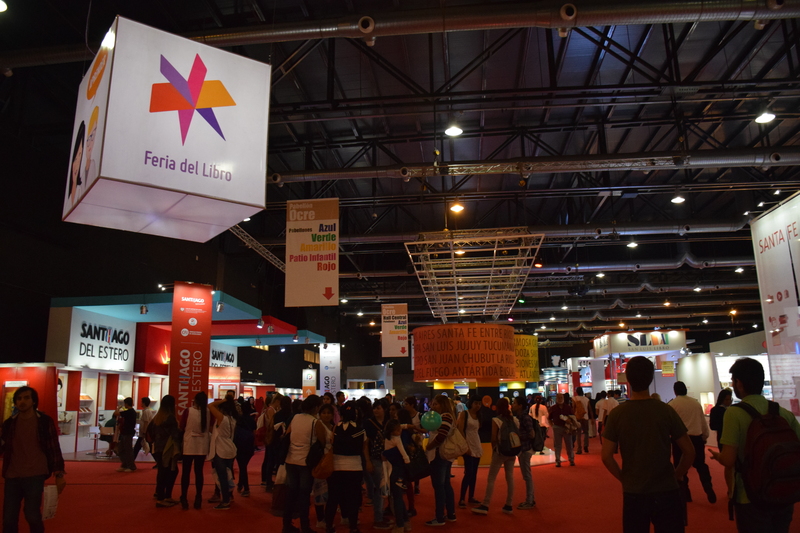 The perks of being a student in Buenos Aires include free entrance on weekdays to the International Book Fair. The perks of being a tourist in Buenos Aires include getting to take pictures in the insurance company’s Snoopy photo op without having to sign up for their email blasts. After I explained to the guy that Charles Schultz had lived for some time in the city I was from, he almost felt obligated to let us take pictures with the statues and even took some for us. One more year until we’ll be wearing those hates for real! While I was getting involved with the volleyball team, my friend was seeking out a less athletic involvement on campus. He ended up finding the Club Del Interior, a purely social club that meets up every couple weeks and does something fun in the city. Their most recent event was a picnic in San Isidro, a forty five minute train ride north of the city. My friend invited me to join him at the picnic, and then, two days later, my friend from the volleyball team did as well. We had a really fun day hanging out in the park, practicing Spanish and exploring the little feria that was occurring there. 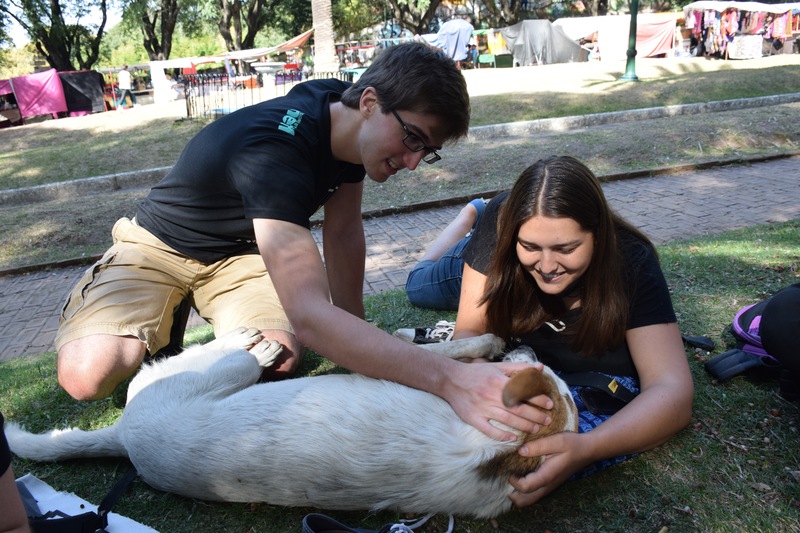 As seems to be the usual when we leave downtown Buenos Aires, a dog found us, and my friend and I spent fifteen minutes showering it with love. Buenos Aires has a lot of parks. I have yet to explore most of them, though I’ve been trying my best. Last week, on one of my many empty Thursdays, I headed out, determined to explore the park on Del Libertador Ave., I’d passed it many times on the colectivo so I was determined to see it by foot. 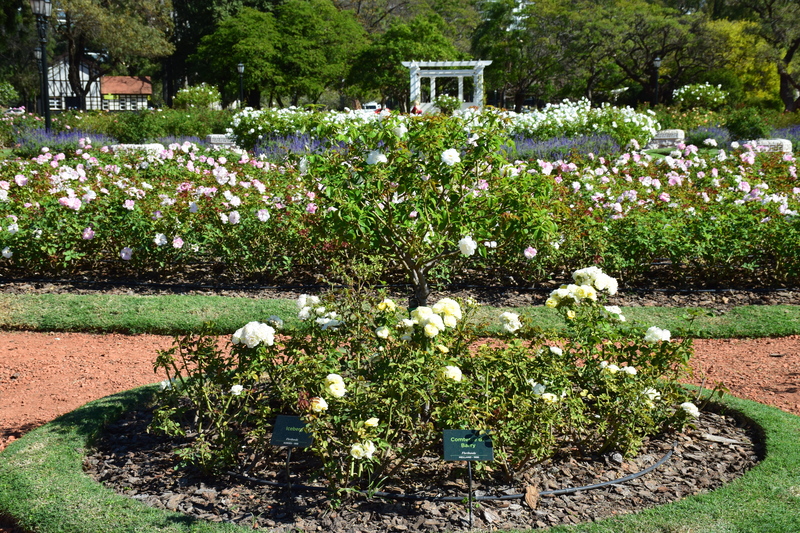 When I got there, I discovered the rose gardens, which had everything anyone could want from a rose garden: a million benches, a bajillion roses in lots of different colors, fountains, statues, quotes, the whole nine yards. There was even a 200 meter or so (600ish feet) trellis walk with the pond on one side and the roses on the other. 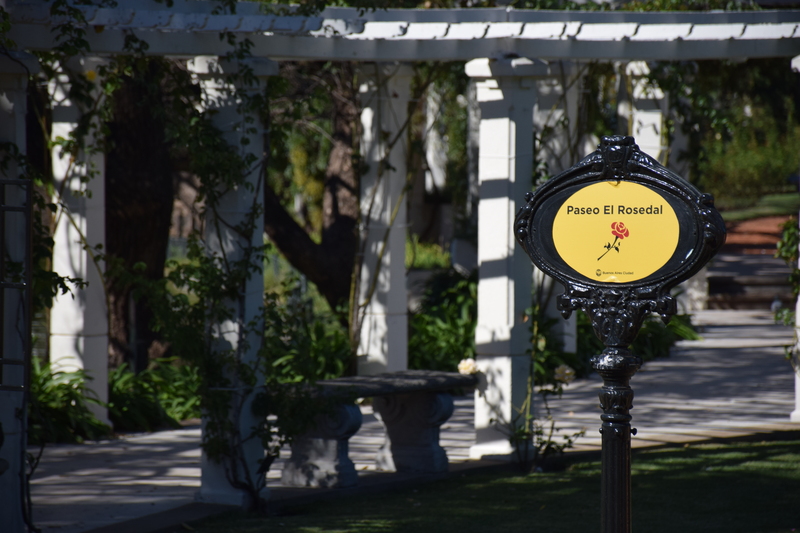 I wandered the rose gardens for a half an hour, exploring the pathways and admiring the statues before settling on a bench in the trellis walk with a good book, ready to sit and read. #datcitylyfe: When it rains in the city, it pours. The streets all overflow and I think longingly of my plaid rain boots sitting in my room, waiting for my return. But anyone who’s lived in Buenos Aires for awhile knows that there are two types of rain in this city and that they correspond with what part of the year it is. The first type of rain, is the rain that falls from clouds, it’s very common in the fall and winter, and it’s the reason my shoes are still drying themselves, two days later. The other type of rain is very common in the summer and is caused by the air conditioning units that stick out on almost every building in the city. When we first arrived, the temperature was soaring up to the high nineties every day and it was incredibly humid. This meant that almost everyone was turning on their air conditioning units, ergo, the air conditioning units were raining condensation on the folks in the streets below. I used to think that if I could go a whole day in Buenos Aires without getting hit by the drops of water, then I could truly say I was a porteña. About a month in, I started reliably going days on end without getting hit by air conditioners. I started to congratulate myself before I realized that the actual reason I wasn’t getting hit wasn’t because I was a pro at walking the streets of Buenos Aires, but because it was now cool enough that everyone had turned their AC units off. Despite not having a chance to pass my own test, I think I’m pretty much a pro at wandering these streets. But if you ever visit in the summer, watch out for water from above! Or just embrace it. That always works too.